Important notice! In response to the popularity of this article, we’ve created an online course to teach you how to use WooCommerce to take course and event bookings. Before we switched to selling plugins, clients often used to ask us to build a WordPress e-commerce website with a WooCommerce online shop AND bookings for courses or other events. There are lots of reasons for wanting this sort of WooCommerce events website. Your company may organise events and also sell products or equipment relating to these events. You may be a training company who sells courses directly as well as gift vouchers which can be redeemed against your courses. You may be a membership website for a specific industry, selling WooCommerce products and events to support your members. With nearly 2 million websites using WooCommerce according to the latest usage stats, plenty of websites fall into all these categories. A lot of WordPress web designers meet the above requirements by installing 2 standalone plugins – WooCommerce for selling products, and an events management or booking plugin for selling courses/events. We’ve had lots of clients whose WordPress events websites work in this way. The downside is that your users have to buy products and pay for them in a completely separate process from booking events. For example, we saw one website used WooCommerce to sell products and Events Manager Pro to sell events. Customers would use the WooCommerce shopping cart and checkout to buy products. They would then have to book each event individually by completing a booking form and clicking a PayPal button. This created a disjointed experience for customers. It also missed out on opportunities for increasing sales by cross-promoting products and events. I will show you 2 ways to design a WordPress e-commerce website that sells products and courses/events using WooCommerce. Both methods use the standard WooCommerce cart and checkout, allowing customers to add products AND book a course/event at the same time. Your customers can pay for products and events in a single transaction. This creates a seamless experience that maximizes your sales. Both of these methods use WooCommerce, as this is the best WordPress e-commerce plugin and has all the features that most websites need. It also has plenty of add-ons and other plugins to meet more unusual requirements. And surprisingly it’s free, too! WooCommerce is clearly the best option for the e-commerce side of your website. This means that your main decision is how to extend WooCommerce to take bookings for courses or events in a single checkout process. Which option to choose depends on how you organize your events. The Events Calendar (free), Event Tickets (free) and Event Tickets Plus (paid-for) are designed to work together alongside WooCommerce. The Events Calendar allows you to add events to your website. Event Tickets lets people register for your free events. By combining them with Event Tickets Plus and WooCommerce, you can sell places on your events using the WooCommerce shopping cart. This lets you create a fully functional WooCommerce online store with event bookings. 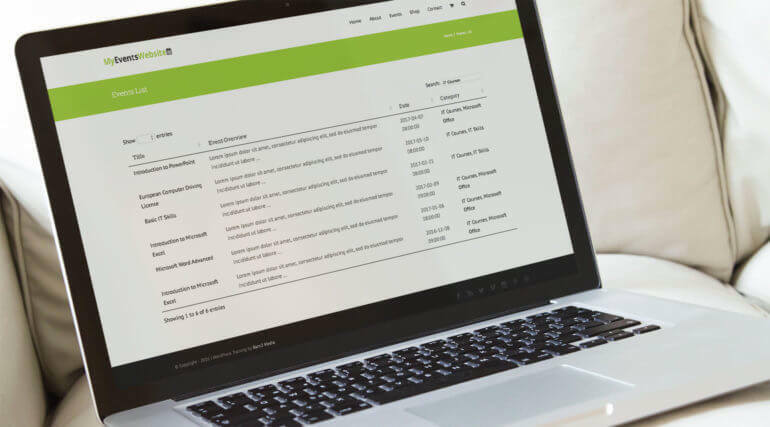 If you need a more fully-featured events management system then upgrade to Events Calendar Pro, the paid version. This has various extra features, for example calendars that you can display in the sidebar throughout the website to promote your events. Pros – The Events Calendar/Event Tickets/Event Tickets Plus are created by Tri.be, a reputable WordPress company. The events plugins provide a wide range of features. It lists upcoming events (which can be filtered by category etc.). There are calendars showing the dates of your upcoming events. It really is a complete event management system. They are designed to work with WooCommerce and are fully tested with it. Cons – To create a course or event using this method, you have to add each date as a separate event. This creates some extra work for you. For example, if you run the same event on multiple dates then you have to add it separately for each date. If you take our online course on how to create a website using these plugins then I’ll provide some tips on how to create your events more quickly. WooCommerce Bookings is a paid plugin that works alongside WooCommerce. It lets you add each event as a bookable WooCommerce product. You can add multiple dates for each event. Customers can add products or events (i.e. bookable products) to their cart and pay for everything in a single transaction. Pros – This method makes it easier to create and maintain events because you only have to create each course once, and can assign multiple dates to each event. Both plugins are owned by Automattic, the company behind WordPress.com. This means that the plugins are fully tested together and you’re not taking on the risks that come from combining plugins by third parties. Cons – There’s no built-in option to display all your upcoming events on a single calendar. Each individual event has a calendar showing the available dates, but there is no overarching calendar showing all your events together. Instead, you can list the course names and customers have to click on a course to view the available dates. Can I create a calendar of all my events with WooCommerce Bookings? Use Google Calendar integration to show all your bookable events on a Google Calendar, embedded on your website. This won’t look as integrated/professional as the Events Calendar plugin’s central calendar, but it is a way to show all events with WooCommerce Bookings. The exact features of your event bookings will depend on whether you use method 1 or 2. Both can be implemented in a way that allows your customers to choose a date, book a course and pay via PayPal or another payment method such as Stripe. (Or you can continue taking manual payments, if you prefer). Customers will be able to purchase gift vouchers and courses in a single checkout process, creating a seamless user experience. Expert tip #1 – Sell membership at the same time! A lot of WordPress membership websites sell products and/or events. If you want your customers to be able to purchase membership at the same time as products and events then this is possible too! Combine the free Groups plugin with Groups for WooCommerce. This allows you to create a ‘Membership’ product (or more than one, if you want different membership levels). Customers can buy membership in the same way as other products and events. Use the WooCommerce Memberships plugin. This is very similar to Groups with some subtle differences. Check out this comparison table from WooCommerce to decide which is best for your WooCommerce membership site. Once a customer has purchased your ‘membership’ product, you can create members-only pages on your site. You can restrict these to the relevant membership group or membership level. And if you’re being really clever, you can use the Dynamic Pricing plugin to give discounts to your members! Create different discounts for products in each category, discounts for individual products – the sky’s the limit! Note: These membership plugins are compatible with either of the above methods for creating a WooCommerce event bookings site. If you’re using The Events Calendar plugins, you can display your events using the views provided with the plugins. These include events list and calendar view. And if you’re using the Pro version, there are others such as map view. If you have large numbers of events and want to provide a more detailed database of upcoming events, you can use The Events Calendar with Posts Table Pro. This is one of our WordPress plugins and lets you create an interactive table displaying all your events. It’s great for sites with lots of events. Check our my article on how to use Posts Table Pro to display your events in a table. Create your own Events Calendar with Posts Table Pro! For a professional website, it’s important to make sure WooCommerce and the event plugins match the rest of your website. You can achieve this by choosing a WooCommerce-ready WordPress theme. Its shop pages will be pre-styled to match the theme, helping to reduce your costs. Storefront is the official WooCommerce theme. 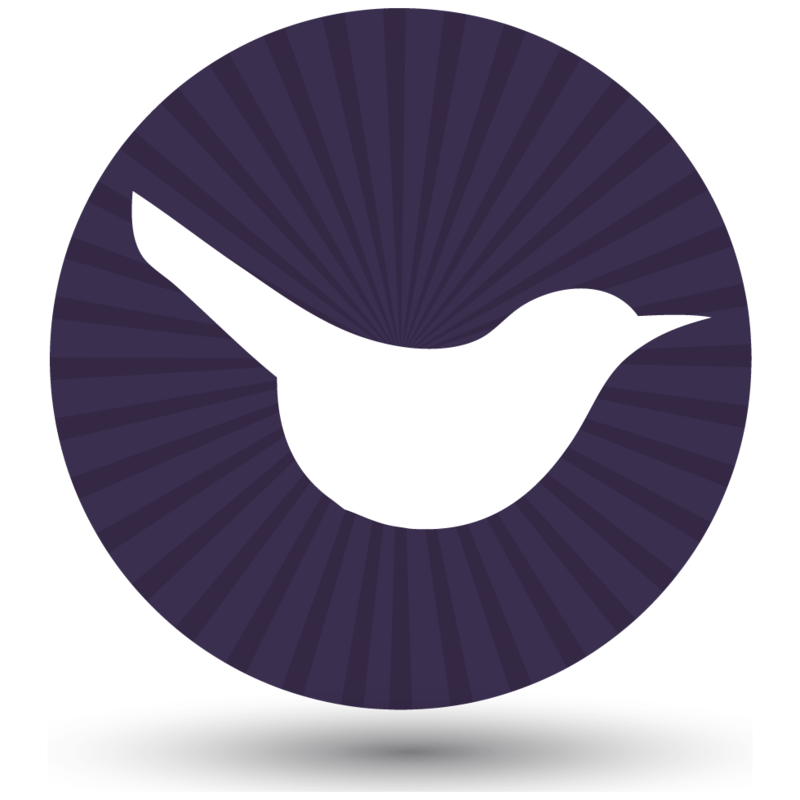 It’s lightweight, easy to set up and will work with events and booking plugins. The main Storefront theme is free and if you don’t like the design, you can use it with a free or paid child theme. Avada and Enfold are popular themes designed to work with WooCommerce and The Events Calendar plugins. They’re hugely flexible and can adapt to work with most brands and colour schemes, without needing to write any code – so check these out first. To find other themes designed to work with WooCommerce and The Events Calendar plugins, go to the WordPress section of ThemeForest. Scroll down and find the ‘Compatible with’ section in the left column. Select ‘WooCommerce’ and ‘Events Calendar’ to find themes that work with your plugins. If your theme hasn’t been tested with these plugins, you might need to do some custom styling to make the WooCommerce and event pages look good. Take our online course on WooCommerce Course & Event Booking Plugins! This article is one of the most popular on our site. It has helped many people to create a course or event booking website with WooCommerce. We have now created an online course to take you through the whole process of building an events site with WooCommerce. The course focusses on using The Events Calendar suite of plugins with WooCommerce. You’ll learn how to create a fully functional events site. In the course, I’ll talk you through the different plugins to help you choose the right combination for your site. I’ll teach you how to set up each plugin and get the most from them. Along the way, I’ll provide lots of advice and tips on how to maximise the income from your WooCommerce events site. And finally, I’ll show you how to test your website, fix any problems and where to get support. 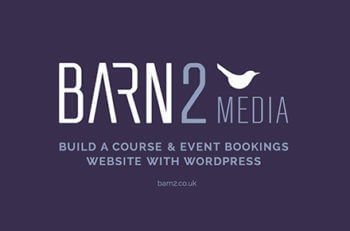 I’ll even share the famous Barn2 Media go-live checklist with you. I’ m wondering if the following scenario is possible to set up with one or the other plugin/extension you mentioned in your perfect article above. I would like to sell my Watersport -and Fitness classes/lessons/courses using a booking-tool or something else together with WooCommerce. 3) Courses which takes place on two consecutive weekends. Every third Weekend a new Course starts. 4) Courses available as a package. For example, 1, 3, 10 hours. 5) Once or twice a week with 8 or 16 appointments, 2 months. Not beging sure if it’ s here the right Place for this special Questions I’ m hoping to get some advices from you. Hi Katie, thank you for your extremely fast reply. So I'll contact them to find out. Thank you for your very useful article. I'm setting up an online Sports Camp booking system with an online shop (a limited number of camps are available each summer - all are individual events and the shop has a small number of products available to purchase). It looks to me as if Method 1 (Events Calendar/Tickets Plus) would be suitable. I need a user to be able to add products and bookings to the shopping basket BUT also the user needs to be able to book potentially more than 1 place and complete a detailed booking form for each person attending the camp before completing the payment process. Will Method 1 will allow me to do this? If so do you cover setting this up in your online course? Hi Rebecca, yes I can confirm that Method 1 lets users book multiple places on each event. If you upgrade to Events Calendar Pro then you can add 'Additional Fields' to the event booking form, which lets you collect the extra information you need. My online course covers setting up Events Calendar and Tickets Plus, but doesn't specifically go into Events Calendar Pro. If you're using Pro then everything in the course is still relevant, but you will see some extra options on the 'Add Event' page where you can add these extra fields. They're pretty self-explanatory so you will be fine. Thank you so much for your reply. You've been very helpful. Thank your for this post and the detailed explanations! A yoga studio offers different classes every week (=events) and the clients could buy a drop in ticket for only one class or they could buy a "10 class pass" and can book 10 classes over the next couple weeks. If it is possible which of the described methods would fit better and if not possible do you have any hint how to solve this case? Hmm, that's a tricky one because it's not at all how WooCommerce works. I haven't seen anything off-the-shelf that can do this. You could create a '10 time pass' product in WooCommerce. Once people buy it, you can manually send them a 100% off coupon codes which they can use to book 10 courses (there's an option that you can use to restrict the number of uses for each code). This would work with either of the events systems described in this tutorial, because the events are just WooCommerce products. I'm wondering if I could use one of these methods for my event website. 1. we are organising a Rugby tournament and need a plugin that will allow the Captain/Manager of each team to fill up detailed info for each team players (first and last name, email, date of birth, phone). So if he is registering 1 team with 15 or 20 players, he will have a form with 15 or 20 people to complete. As for himself, he will have a couple more info to complete such as his home adress for exemple. 2. will the Captain be able to come back later on, and log in to his account to fill up some missing info about his team? If you use The Events Calendar plugin then you can use the extra registration fields that come with the Event Tickets Plus add-on to add those extra fields. I'm not sure how the page would look if you add that many fields, so you might need to add some custom styling! I don't think it's possible for the customer to login again later to change the attendee details, you would need to develop that as a bespoke feature. If you use WooCommerce Bookings then you could use the Product Add-Ons plugin to add the extra fields. The styling issues I mentioned for the other plugin, and the inability for customers to edit thier information later, would equally apply if you used WooCommerce Bookings. Do you know witch plugin allow me To sell Event with seat map sélection and is compatible with WC booking? Hi Christophe, I've had a quick look and theAdvance Seat Reservation Management for WooCommerce plugin looks good. You could ask them if it works with WooCommerce Bookings, or whether it's a booking system in itself and therefore you may not need WooCommerce Bookings. Im looking to upgrade a website so training courses can be booked and paid for. Each course can be one day at a time, some in blocks. Each course has multiple different locations. All have a max compacity. Is this something woocommerce booking can handle? Can a search facility be included on the home page? Can wordpay be intergrated for payment? Hi Lisa, yes you can do this with WooCommerce Bookings and you can list the bookable products in a table with WooCommerce Product Table. Customers can click through to the single product page to view the calendar and book each course. You can set up each course to be 1 day long and add blocks and the number of available places. I recommend creating a separate bookable product for each location because you can then filter by location when you list the courses using WooCommerce Product Table, so that students can easily find courses at the location most convenient to them. If you list the bookable products using WooCommerce Product Table then a search box will appear above the table so that people can easily find courses. You can include the list of courses and the search box together on the homepage. There's an official WooCommerce Worldpay extension that you can use with this setup. Great thanks for the info. Ive created a search on the homepage for users to quickly find a course. I need to add a postcode search too so courses nearby are shown in results based on the course they have selected. Hi Lisa, you would need to research WooCommerce postcode search plugins and hopefully something would come up - this isn't a feature of any of the plugins in this article. Alternatively, you might need to add it as a bespoke feature. Thank you! One more question, Honest! My head is a bit messy with categories, tags etc. Ive set up the locations as products. How would i then list all the dates available on the product page? I would like the listing to look like this with roughly the same columns. Which plugin are you using for your events? If you want to list the available dates as a table then you could add each one as a variation, and list them using our WooCommerce Product Table plugin in the product description or short description.